The pilot scheme provides access to bikes, buses, trains, taxis and carshare schemes. A new MaaS (Mobility as a Service) scheme that enables customers to use bikes, buses, trains and taxis to reach their destination is to go on trial in the West Midlands. Starting from the autumn, the partnership between Finnish company Maas Global, the developer of the mobility app Whim, and a number of transport providers will enable Midlanders to plan, book and pay for their journey with an app, with the aim of reducing the need for people to drive into the city centres. 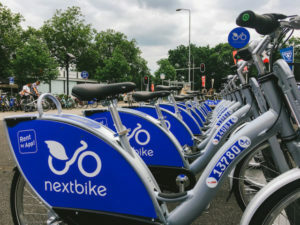 Project partners that have so far signed up to the pilot under a Memorandum of Understanding (MoU) include bikeshare provider Nextbike, National Express, SilverRail, Birmingham City Council, car hire firm Enterprise and taxi provider Gett. The project will be overseen by Transport for West Midlands (TfWM), an executive body of the West Midlands Combined Authority, and follows a trial in Finland, where Maas Global launched the Whim app last year. Seat’s new Ibiza scored a “benchmark” rating according to Thatcham, helped by standard-fit AEB and Pedestrian AEB. 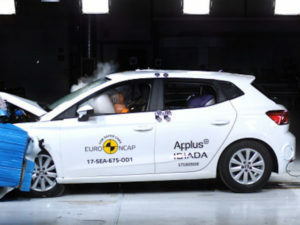 Euro NCAP has released its latest safety ratings, including for the new Seat Ibiza, which sets “a new benchmark in safety for the supermini price point category”, according to Thatcham Research. The results saw the Alfa Romeo Stelvio, Hyundai i30, Opel Insignia, Seat Ibiza and VW Arteon all awarded a maximum five-star rating, with four stars for Honda’s new Civic and a three-star rating for the facelifted Ford Mustang. Matthew Avery, director of research at Thatcham Research, highlighted that the Ibiza’s result bodes well for the new VW Polo, which will be built on the same platform, and added that the Honda Civic’s a four-star rating, awarded despite standard-fit AEB, was due in part due to the head of the rear passenger dummy that represents a 10-year-old recording a hard impact through the curtain airbag. Fleets could see double-digit fuel budget savings by rethinking their fuel management approach. So says TMC, which has produced a new e-guide aimed at fleets wanting to take an across-the-board approach to controlling their fuel costs. 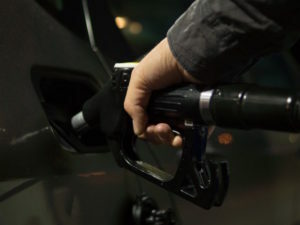 The guide, called ‘How to Think like a Fuel Management Expert’, covers reimbursement options, mileage reporting and tax issues as well as purchasing methods and also takes aim at some common fleet fuel fallacies. TMC points to fuel budget savings achieved by its customers, such as Nobia (10%) and Danwood Group (14%), after they changed key aspects of their fuel reimbursement and purchasing methods. British Cycling said the amends to the Highway Code could cut motor traffic queue lengths by 43%. Amending the Highway Code and regulations to give priority to people walking, cycling or driving straight ahead could reduce motor traffic queue lengths by 43%. 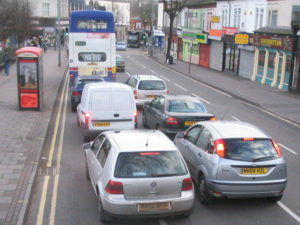 The research, commissioned by British Cycling and undertaken by transport planners Phil Jones Associates, also indicated that the rule changes would reduce the amount of time all road users spend navigating a typical set of traffic lights with delays reduced by 23% for motor vehicles, 38% for pedestrians and 21% for cyclists. Lesley Upham joined IAM RoadSmart in May 2015 in the newly created commercial director role. 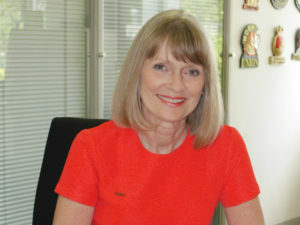 Lesley Upham is to end her tenure as commercial director for charity IAM RoadSmart at the end of July. Upham’s two years in the post have seen the road safety charity introduce a new name, a new website and a new brand as well as moving headquarters to Welwyn Garden City, Hertfordshire. Under her leadership the charity has also undertaken a full commercial review of its fleet driver training product range, expanded its highly successful Drink Drive Retraining Academy into new territories and extended its reputation as a provider of expert training within the business community. Recruitment for a new lead for IAM RoadSmart’s commercial activity is currently underway.